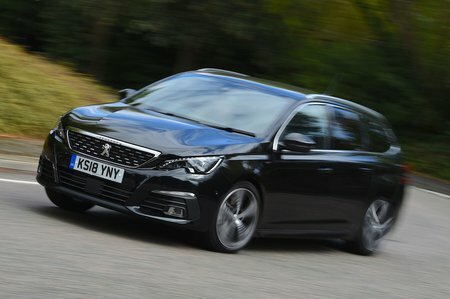 Peugeot 308 1.2 PureTech 110 Active 5dr [6 Speed] 2019 Review | What Car? What Car? will save you at least £1,602, but our approved dealers could save you even more. Active trim is the cheapest way into a 308 SW. It comes as standard with 16in alloy wheels, climate control, rear parking sensors, a leather steering wheel, automatic lights and wipers, a 9.7in colour touchscreen with sat-nav (plus MirrorLink, Apple CarPlay and Android Auto smartphone mirroring) and driver adjustable lumbar support. It’s our pick. Delivering reasonable pace in a refined manner, the 110 offers the best balance of performance, running costs and purchase price. It can only be had with a manual gearbox, but it’s our favourite engine of the range.